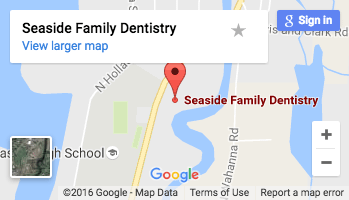 Seaside Family Dentistry understands that medical information about you and your health is personal, and we are committed to protecting your medical information. Individually identifiable information about your past, present or future health or condition, the provision of health care to you, or payment for such health care is considered “Protected Health Information” (“PHI”). Treatment: We may disclose PHI to your dentist(s) for treatment purposes. For example, your dentist may wish to provide a dental service to you but first, seek information as to whether the service has been previously provided. Payment: We disclose your PHI in order to fulfill our duty to provide your coverage, determine your benefits, and make payment for the services provided to you. For example, we use your PHI in order to process your claims.